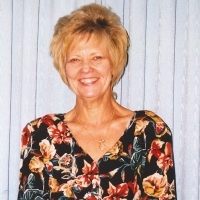 Surrounded by her family and friends, Judith Ann Marsyla (Born Downing), at age 75, passed on March 18, 2019. Judith A. Downing graduated from Norfolk High School in 1961 and attended Old Dominion University. She married Gary R. Susag in 1964 and they had 3 children: Gary R. Susag, Jr., Scott C. Susag and Molly A. Susag. She attended the University of Hawaii, Monoa, where she earned her Bachelor’s (1992) then Master’s (1994) degrees in Social Work. She worked at the Salvation Army Treatment Center following receiving her degrees. She then went on to work as a career counselor for the US Army at Fort Hood in Killeen, TX. On October 14, 2004, she married Edward Marsyla in Honolulu, HI. Shortly after, they moved to South Padre Island, TX. Her social activities on the island included being a member of the Red Hats Society and being a member of the Padre Island Bridge Group. She is survived by her loving husband, Edward Marsyla, sisters Kathy Koontz and Betsy Johnson, children Gary, Scott and Molly Susag, grandchildren Rachel & Ryan Susag, and Clifford Walker. Family will receive friends at 12:00 p.m. at Seaside Funeral Home Chapel on Sunday, March 24, 2019 with a Funeral Service to follow at 1:00 p.m. Interment will be held at Arlington National Cemetery at a later date.